Tags: blue jewelry, necklace, rhinestones, statement necklace. 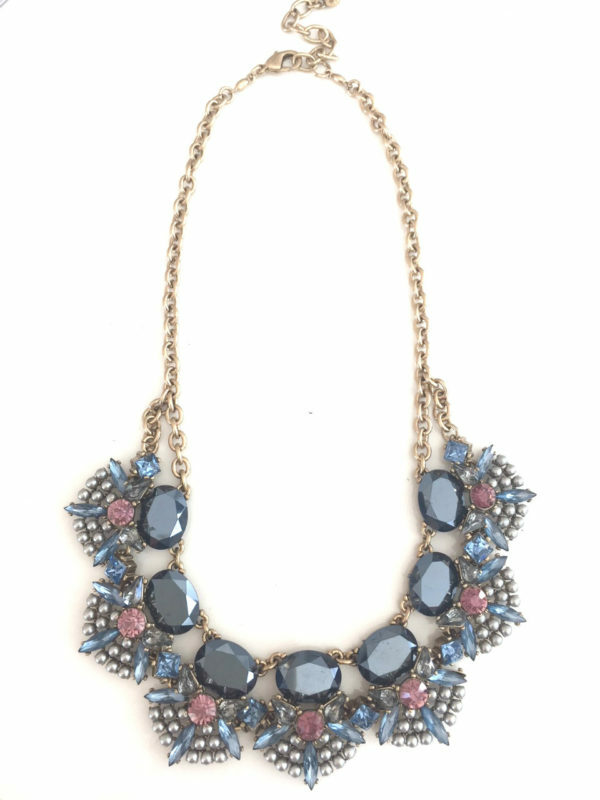 Our Charaya Statement necklace, from our Urban Bluetopia Collection is fun and festive. The name Charaya derives from the meaning “with blue and pink colors” the perfect namesake for this pretty little number. It’s a perfect piece to add some sparkle and pops of color to dress up a casual sweater or blouse. Comes on a gold tone chain with extender.